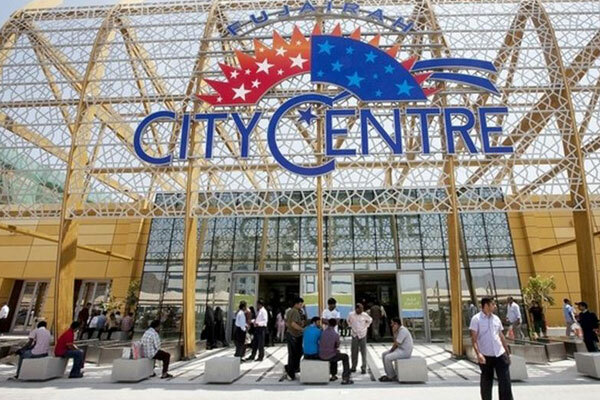 Majid Al Futtaim, a leading shopping mall developer and leisure pioneer in the Middle East and North Africa region, has reported a 13 per cent jump in its revenues for the first half which rose to hit Dh17.8 billion ($4.85 billion). Announcing the results for the first six months, Majid Al Futtaim said the ebitda grew by 4 per cent to Dh2.1 billion.The group's assets are valued at approximately Dh60.7 billion, with a net debt of around Dh11.1 billion, a statement said quoting preliminary and unaudited operational and financial results. Majid Al Futtaim’s top-line financial growth has been largely driven by the group’s expansion and diversification efforts, alongside its ongoing focus on operational excellence across all operating companies and business units, it said. During the first half of 2018, Majid Al Futtaim further expanded its portfolio through new market entries while continuing its growth in existing markets. In a milestone achievement, the company inaugurated its first VOX Cinemas multiplex theatre in Saudi Arabia following the lifting of a 40-year ban on cinemas in the kingdom. This comes as part of an ambitious plan to open 600 screens in Saudi over the coming five years. Majid Al Futtaim – Retail added 12 stores, growing its presence to 243 outlets across the Middle East, Africa and Asia. Carrefour signed an agreement with the Egyptian Ministry of Investment and International Cooperation to open up to 100 Carrefour stores in the country. In addition, Carrefour opened its largest distribution centre in the region which acts as a central receiving and quality control point, offering customers access to a wider range of products. As part of its ongoing transformation efforts, Majid Al Futtaim Holding CEO Alain Bejjani said the group continues to prioritise investment in advanced analytics, big data, and new technologies. "In addition to hiring data engineers and scientists, the firm has trained hundreds of its workforce as “analytics translators” to turn vast amounts of data into actionable insights. These insights are helping Majid Al Futtaim improve the individual customer experience, make informed business decisions, as well as benefitting retailers, brands and other partners," he remarked. Majid Al Futtaim – Properties: The division registered revenue growth of 1 percent to Dh2.3 billion in the first six months of 2018, primarily driven by its shopping malls business. Ebitda also increased by 1 percent to Dh1.5 billion, contributing almost 70 percent of overall group ebitda. Majid Al Futtaim’s shopping malls welcomed 98 million visitors in the first half of the year, a 4 percent increase as compared to the first half of 2017. Total shopping mall occupancy stood at 94 percent, impacted by the ramp up of Mall of Egypt. Excluding Mall of Egypt, total occupancy of shopping malls remained strong at 96 percent. Majid Al Futtaim hotels reported an average occupancy of 75 per cent and continued to experience a decline in revenue per available room (RevPAR), in line with wider market trends. In line with its group Sustainable Development Strategy, Majid Al Futtaim – Properties unveiled phase one of the Mall of the Emirates solar photovoltaic plant, delivered by its Enova business. This is the third solar photovoltaic plant at a Majid Al Futtaim mall, following the completion of the plants at City Centre Me’aisem and My City Centre Al Barsha. It will generate 3 GWh of clean energy, saving up to Dh1.4 million on energy costs per year. Majid Al Futtaim – Retail: This division generated strong revenue growth and concluded the first six months of the year at Dh14.6 billion. Compared to the same period in 2017, revenue was up 15 percent, while ebitda increased by 11 percent to Dh600 million. Both were substantially driven by the acquisition of Retail Arabia in 2017. Thanks to the group’s diversification efforts, significant growth was seen in Kenya and Egypt, with revenue increasing 143 percent and 22 percent respectively. According to him, the Carrefour brand has been further cemented as the largest grocery retailer in the region, increasing its market share by opening 12 new Carrefour hypermarkets and supermarkets during the first half of 2018, including the brand’s fifth store in Kenya. Carrefour also enhanced its omnichannel experience through strengthening its digital offering and the launch of Valet Trolley, which gives customers the opportunity to leave their purchases at the store to be delivered to their homes at a convenient time, stated Bejjani. Majid Al Futtaim Ventures: Its revenue increased by 13 percent in the first six months of the year to Dh1.1 billion (Dh1.5 billion including joint ventures and associates). The diverse portfolio of cinemas, leisure and entertainment, fashion, consumer finance, food and beverage and facility and energy management reported an ebitda increase of 2 percent to Dh118 million. VOX Cinemas continued its successful expansion across the region with 30 new screens added, including its first cinemas in Saudi Arabia and Kuwait. Three new leisure and entertainment locations were added, including 3 Magic Planet outlets, the introduction of American Girl to Bahrain and Little Explorers to Saudi Arabia. Majid Al Futtaim – Properties is making continued progress on its projects across the region, including City Centre Al Zahia and My City Centre Masdar in the UAE, Mall of Oman and City Centre Suhar in Oman; City Centre Almaza in Egypt; as well as City Centre Ishbiliyah and Mall of Saudi in Riyadh, Saudi Arabia. Majid Al Futtaim is also continuing its phased development approach at its mixed-use communities including Al Zahia in Sharjah, Waterfront City in Beirut and Al Mouj in Muscat. According to Bejjani, Majid Al Futtaim has continued to maintain a very strong financial and liquidity position, covering its net financing needs for more than the next two years through its cash and available committed lines. "In March, we issued a new $400 million corporate hybrid as part of a liability management exercise to tender our inaugural hybrid issued in 2013, ahead of its first call date in October," he noted.